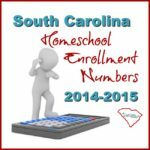 In January each year, Homeschool Association directors send their homeschool enrollment numbers to the respective school districts. This is part of what the law requires here. 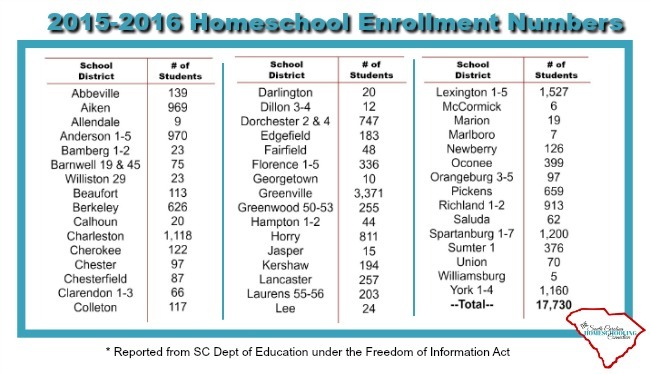 So, while the districts are busy tallying this year’s numbers, let’s take a look at the 2015-2016 Homeschool enrollment numbers. I got a copy of the Home School Survey conducted Winter 2015-16 by Office of Research and Data Analysis, SC Department of Education. I’m not really sure what the numbers mean to the government officials. But, to me, the numbers indicate a couple things to *us* homeschoolers. 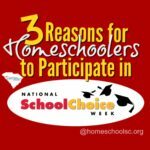 With last year’s numbers reports, we took at look at WHY so many homeschoolers are choosing Option 3. That’s a conversation that still applies to this year’s numbers. Homeschoolers are choosing accountability that understands and values the home education approach. We’re not replicating school-at-home. We’re homeschooling. Associations (including Option 2 and 3 associations) are better equipped to advise homeschoolers. 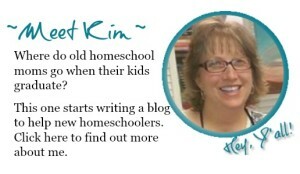 Directors are experienced homeschoolers and actively involved in homeschooling. 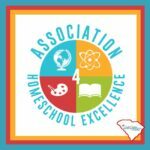 Homeschool parents can choose from a variety of associations: statewide or local that offers the level of services they need. Everyone has a favorite grocery store, doctor’s office or church–so we have a variety of homeschool associations, too. We need to keep talking about how many of us there are. 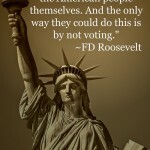 It’s not because we’re hiding or want to cut corners. I always wonder how taking on the full responsibility for our children’s education could be considered slack or careless. But, I also think it’s interesting to see WHERE the homeschoolers are located. Homeschooling is growing…even in the rural counties. One of the things I try to do here is to connect homeschoolers to their local resources and opportunities. I’ve tried to help several folks find others nearby them. Distance is a consideration, because we are looking for those meet-up opportunities with other homeschoolers. It’s also about personality and style–finding a group where it’s okay to be yourself. But, we start by looking for where the people are located. I’ve consolidated the districts into totals for the county, even if there are several school districts in the county. If you want to know how many were counted in a specific district, just email me or message me on facebook. Our biggest enrollment is in Greenville County. Which doesn’t surprise me. 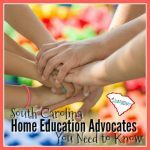 Also very large numbers of homeschoolers in Lexington, Spartanburg, Charleston, Anderson, Aiken and Richland Counties. These areas have proportionately more supports groups and resource centers and homeschool events. But, I’m actually surprised at several of the rural areas that are turning out decent enrollments too. I hope many of you will find this encouraging to see how many homeschoolers are in your area. If you’re inspired to try to start a meet-up or event in your area…let me know so I can help cross-promote it. Let’s get some Facebook groups going for some of these areas and see if we can help get you connected to some folks nearby! The numbers are kind of fun to consider. Whether you are more interested in WHY homeschoolers are choosing associations or WHERE they are located. Or both. 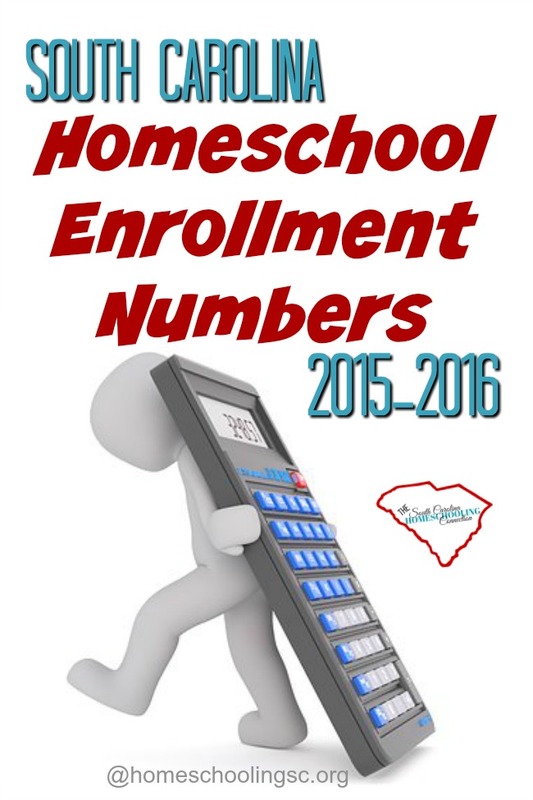 One thing the 2015-2016 Homeschool Enrollment Numbers tell us for sure–that the total is increasing. Homeschooling is not just a fad–it’s an expanding opportunity for quality education. Are you surprised by any of these numbers?